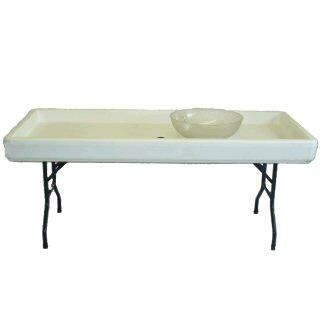 Fill n' Chill Table, 4 ft. Weight capacity 350lbs including 35 to 50 lbs. of ice. Table is designed to hold ice keeping food and beverages cold. 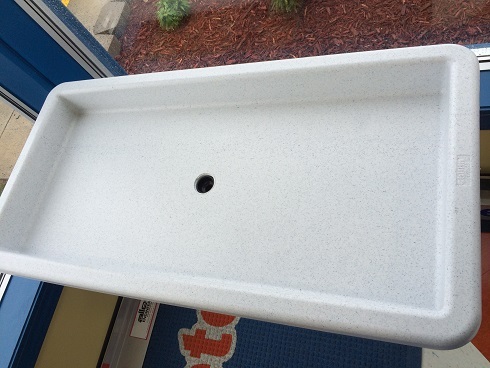 It has a tapered bottom and features a two stage drain system. Steel legs lock in place to provide superior strength but collapse for storage. Use indoors or out. 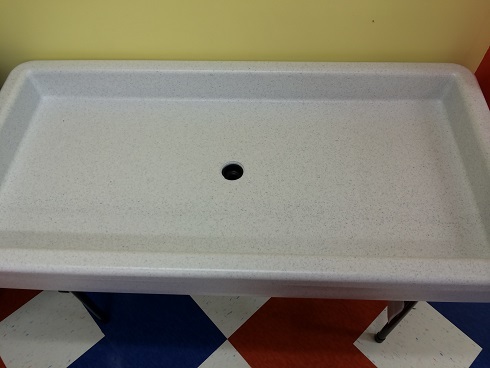 * Please call us for any questions on our fill n chill table 4 ft. rentals in Fort Madison IA, serving Southeastern Iowa and Western Illinois.